Check out the new DUMBO Trailer! Newest Dumbo trailer just dropped yesterday! Looking quite Burtonesque! I’m certain Tim Burton had a heck of a fun time playing with the circus theme. I bet you he did something crazy with the “Pink Elephants” song. He would be crazy not to! That scene was pure nightmare fuel! Am I the only one that thinks its strange that Danny DeVito’s character complained about Dumbo’s face? That joke about him feeling ugly was super forced. Then it was followed up with another not so great joke “don't look at me!” Did a robot write these jokes or put the trailer together? It's like what was used was only what was theoretically good, but not actually good. Or...is this the best humor the movie has to offer? 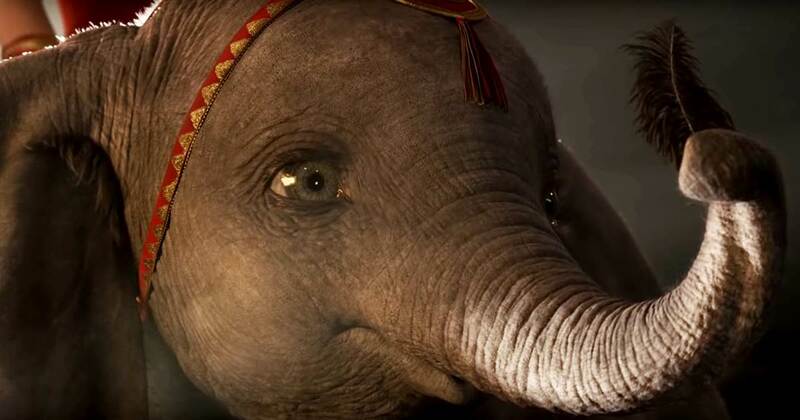 Everything looks great and they seem to be building up some original drama surrounding Dumbo, but only the humor has put me off in this trailer. Of all of the live-action reboots Disney animations are getting, I feel that this is one that could actually deserve it. It came out 78 years ago! Compared to BEAUTY AND THE BEAST and ALADDIN which came out in the 90s, DUMBO could seriously use an update from the 1940s. We’ll be seeing it soon: flying into theaters on March 29th!